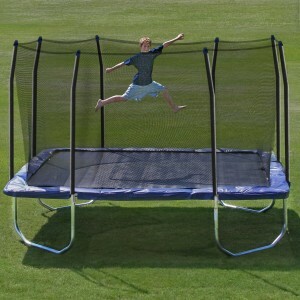 Best Big Trampolines (14ft, 15ft, 17 ft) - Trampoline for Me! So you want to talk about BIG fun, right? The sort where you can fit your whole family, cousins, neighbors and colleagues? Okay, that may be too ambitious, I know, but I also know what you are actually wanting here. To have fun in company. 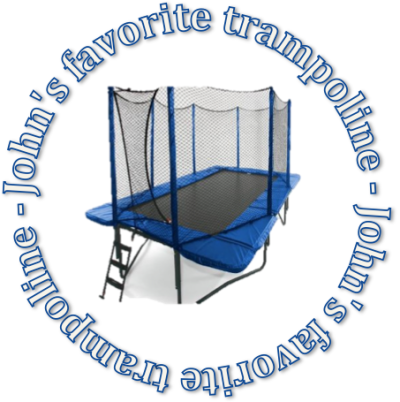 To make it not only your one or two kids enjoy everything they can do on the trampoline, but for the possibility to join, even invite friends. That would be a hell of a family gathering. Imagine for a moment your whole family coming for Thanksgiving, messing around in the backyard, talking, having a beer, and at one point you decide you could just start doing something fun, something live, moving. You see that big blue circular thing you assembled in your backyard and you go straight at it. All of you. So there is 6 of you. So what? even though you’re adults, you can all fit there. And have fun and enjoy your time to the fullest! Or imagine having a kids birthday party at your house. 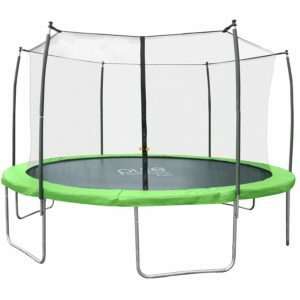 Imagine all the kids having their fun amplified by 1000 because your kid, the star of the school, has a big trampoline in his/her backyard. While these are all viable scenarios, I don’t know what yours will be. I know you can make your own stories. 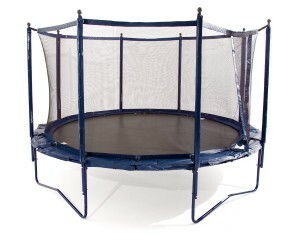 These were mine, when I felt really proud I made the investment and bought a trampoline for my backyard. What is your going to be? How will you use this possibility to its fullest? 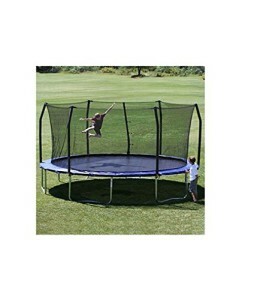 I’ll try and give you the reviews of the best big trampolines for adults I stumbled upon. As always, I’m giving you all of the pros and cons, so you can decide for yourselves. Feel free to contact me if you have any additional questions or remarks concerning my reviews! But it can still be a great thing! It comes in a variety of colors and has some of the usual features: UV resistant mat, enclosure, and safety pad, rust-resistant frame, and springs which makes it ideal for outdoor usage (and where else would you fit a 17x15ft ?!). The enclosure is attached by a buttonhole patent directly to the edge of the mat, which makes it safe and avoids the usage of ropes some enclosures use.